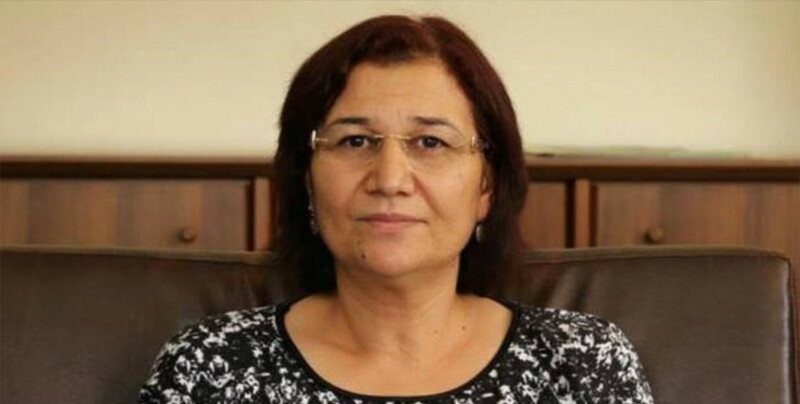 Democratic Society Congress (DTK) Co-Chair and HDP Hakkari Deputy Leyla Güven who is on hunger strike has been subjected to an investigatation by Diyarbakır Type E Penal Institution. The petition, which was notified to Güven, reads: "You have embarked on a hunger strike indefinitely as stated in a notification signed by you on 08/11/2018 and sent to our penitentiary institution". The HDP deputy has been given three days to give a written or oral defense. Leyla Güven made a statement about the action she took and why she is kept in prison. Güven said: "The results of the conflicting environment that causes the death of thousands of people in our country are known to everyone. It is everyone's responsibility and duty to do anything in their hands to work for peace. Mr. Abdullah Öcalan, - said the HDP deputy - who is striving to ensure peace, has been kept under heavy conditions of detention for a long time. This isolation has jeopardized the environment as well as the coexistence of our peoples' lives, prompting conflict instead". The HDP deputy explained that; “As a deputy elected by the people, in order to contribute to social peace and as a matter of responsibility entrusted to me by our people, I state that the aggravated isolation on Mr. Öcalan must end, his conditions must be improved and he must be enabled to meet with his family and lawyers in order for the conflict to stop. As a deputy elected by the people, I started the hunger strike on my free will, because of the above mentioned issues. I believe this is a humanitarian and moral duty. I would also like to state that this action causes no harm to the prison administration and the public and does not constitute a crime".